Each client has the opportunity to work with statex on a canvass and finish it off with a pewter lady. Different designs will be made available to choose from. The class fee includes all the material used for the completion of the project . A fresh cup of coffee /tea with snacks will also be served. You are welcome to use my tools in class. Limited space available, please book as soon as possible. Please remember when you book your payment is the confirmation for the class. 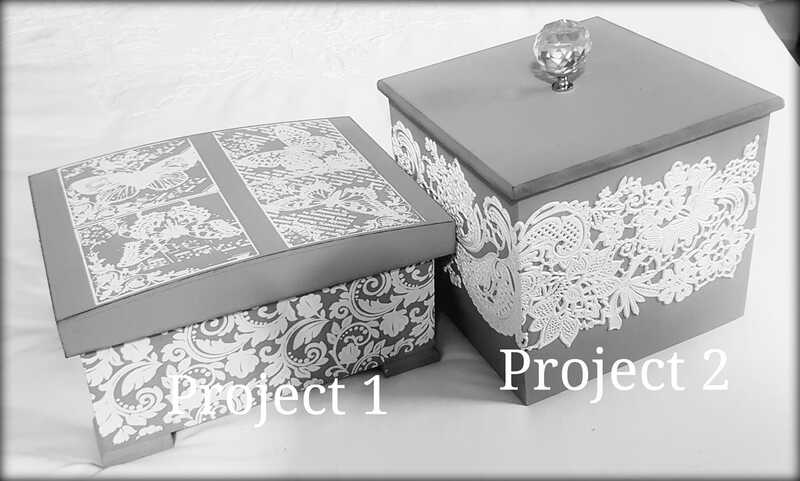 Clients will be introduced to silk stencils and the numerous uses of these stencils on a wooden box. All materials are included in the costs. 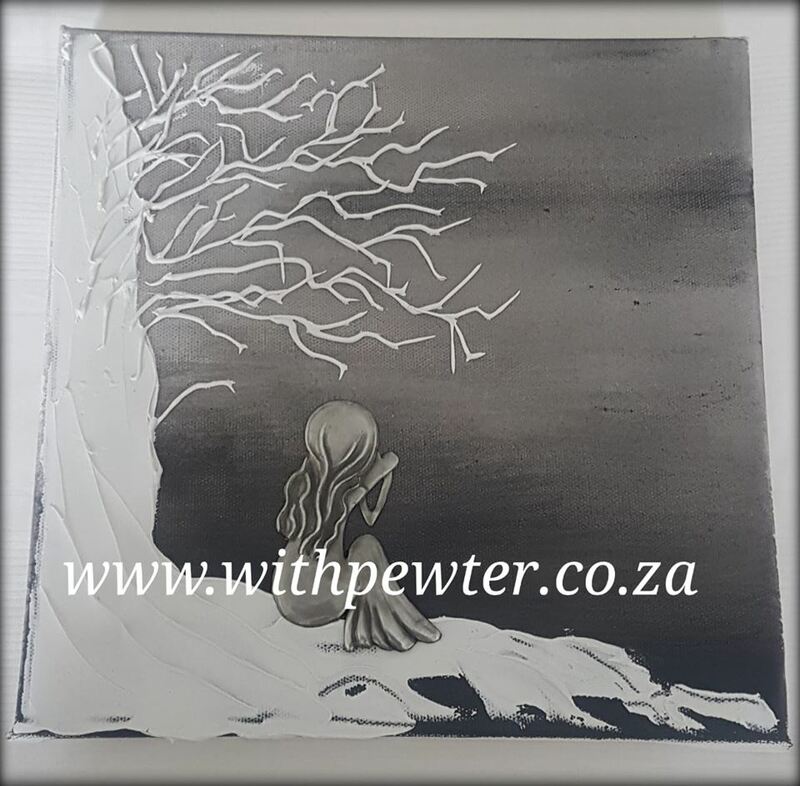 Each client with be introduced to the art of pewter embossing. 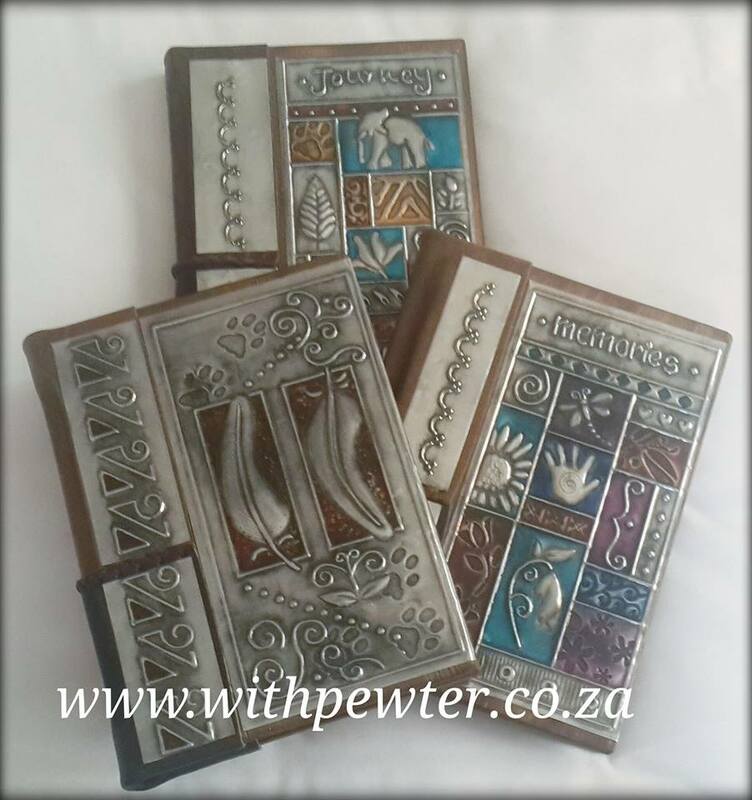 Both techniques (low and high) relief will be explained on a handmade wooden book cover. All materials are included in the costs.